We are making the deal even sweeter! Get a $5 voucher towards an Uncorked Tours e-bike ride! 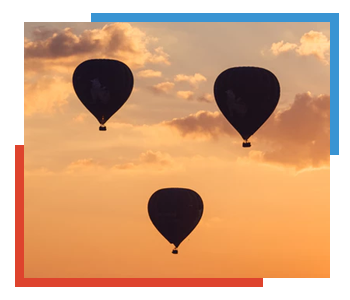 Hurry, hurry and get your balloon flight ticket today! Deal ends April 21st! Special occasion banners adorns your balloon basket! This is a “promotional gift ticket” (a ticket offered at a discounted price from the normal retail value) the promotional value expires one year from purchase date, however, the amount paid never expires. Ballooning is a weather-dependent activity; inclement weather is not a valid reason for a refund (ticket remains valid for a reschedule).